Greetings! My name is Korramyr, known to most as The Party Dargon. Not Dragon. Dargon. The DRF Community is anything but hostile, and I hope that you enjoy your stay here. Feel free to make a character and jump right in! Be sure to read the rules and the Dragon Qualities so you know that if you decide to join a tribe, you know what you're getting in to. I'm Shiningwater, the Seawing healer. But everybody calls me Shine. I'll be looking forward to meeting you in RP. And, as the Dargon says, we are anything but hostile and a very tight-nit community. We are always looking for new members, and happy when someone joins. Please stay and RP for as long as you wish, you will always be welcome here. I'm Avian, a FireWing tracker and an excellent(ha, I wished) Cook, Fisherman, etc. 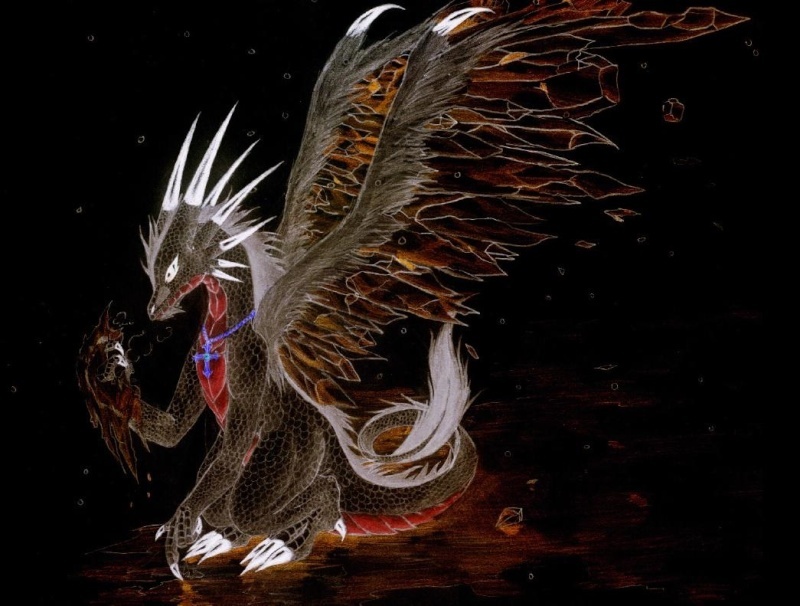 I'm a Dragon of Balance, so none of my skills are above any other, all are equal, and also I'm also mainly a "Solo-Drakon"(Note: Drakon is Dragon in many languages) since all of my FireWing buddies aren't around much. I speak different languages, hate to kill things, yet love to eat meat that's already killed and roasted/cooked. Hi! Twilight, a NightWing Tracker. Welcome to the forum! Hello Twiligt.I am new here too! I hope to see you around sometime! Appearance: Whole body is blue. The tail and legs are a darker blue. The stomach is a icy blue. The rest is inbetween. She has green eyes. History: Her mom was killed in a battle. To get revenge her 2 siblings went to kill the dragon who killed her mom. They lost there lives in the battle. Her dad was struck by grief and stopped eating and died as a result. She was left to be raised by her grandmother as her grandfather was in another tribe (IceWings). Her grandmother died of old age just after she was able to take care of herself. Powers: Can breath underwater, disappear in water and make big waves. Is a very fast swimmer and is very flexible. Special powers: In life threatening situations can breath ice and freeze water. Click here. I am glad for new members here. It seems as if someone is always on! Well , welcome. Nice to meet you, Frostflare! Nice to meet you too. Your character seems cool. I like it. Welcome. Yeah sure. We should stay on topic though.Well , see ya!